Applying to graduate school? Debra gives expert guidance and support on how to attract the attention of admissions officers. Through the graduate school application essay, applicants can present the array of experiences and skills that they obtained in college and through jobs, internships, and research opportunities. Debra can help you convey your story to admissions officers to give you the best opportunity to compete in graduate school admissions. 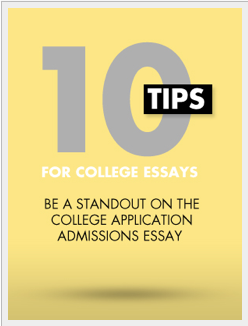 Whether it is dental school, law school, or medical school, Debra has the experience to help you write a standout essay. Read what Vanessa Friedland said about the help she received to apply to the University of Vermont School of Social Work, where she was accepted! Students and job seekers need a vibrant, creative resume that makes you stand out from the crowd of applicants. Debby is an experienced resume writer who can bring out your strengths and skills to make you competitive in this active job market. She will work one-on-one with you either remotely or meet with you to understand your goals and job history. The dissertation is the culmination of years of hard work and study. Whether you are still in the drafting stage or you are about to defend and publish, our dissertation editors can offer advice on your dissertation’s organization and make sure your style and formatting meet your discipline’s guidelines. After the research is completed and your thoughts are committed to paper, you will want to have your thesis reread and revised. We have worked with students worldwide to help them with this process.